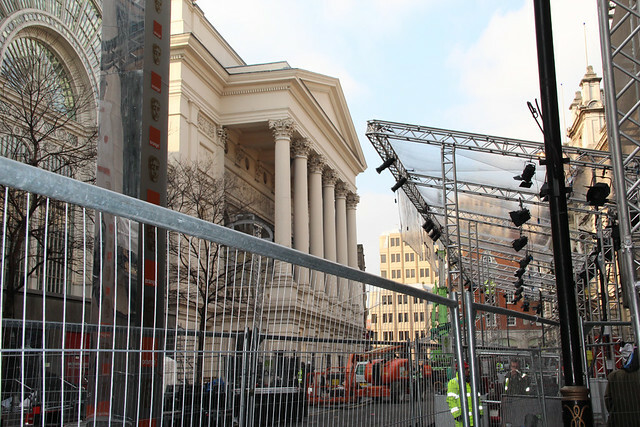 The Royal Opera House is gearing itself up for one of the film industry’s nights of the year as The BAFTA Film Awards take place here this weekend. This year’s ceremony will be hosted by celebrity opera aficionado Stephen Fry, while the red carpet will be covered by roving reporter Miss Piggy, who’ll be covering the action from outside on Bow Street which is closed to traffic for the weekend. If you can’t make it to the red carpet, the awards will be broadcast via the BBC, with BBC3 showing the Red Carpet show at 7.30pm and BBC1 the awards ceremony itself at 9pm on Sunday evening. The Artist and Tinker Tailor Soldier Spy are expected to dominate this year's awards, with director Martin Scorsese picking up a BAFTA fellowship for an outstanding contribution to the film industry over the past six decades. For more information on who’s in the running for awards, see our recent nominees article. Does anyone know if it's worth going down to the Royal Opera house tonight to catch a glimpse? Can you get close enough to see anything? It's sure to be hugely busy down here this evening. That said, you can watch the red carpet and awards on the BBC!